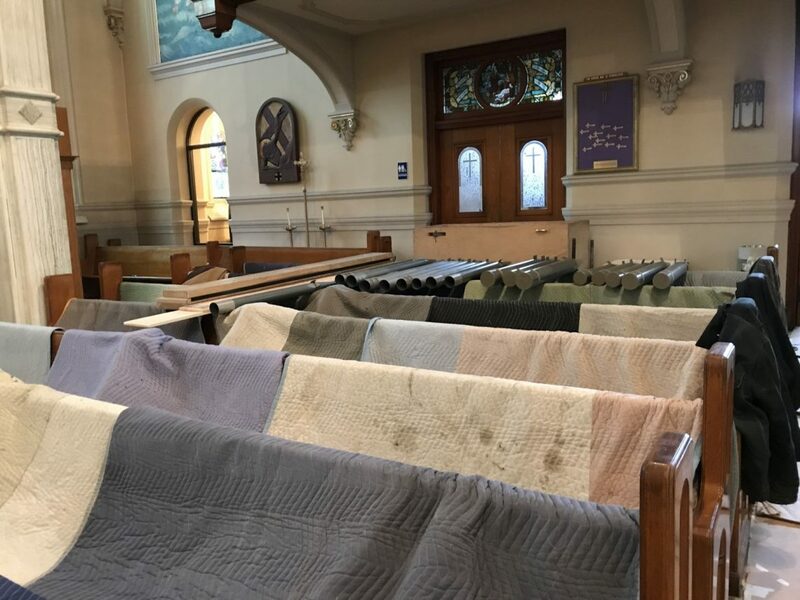 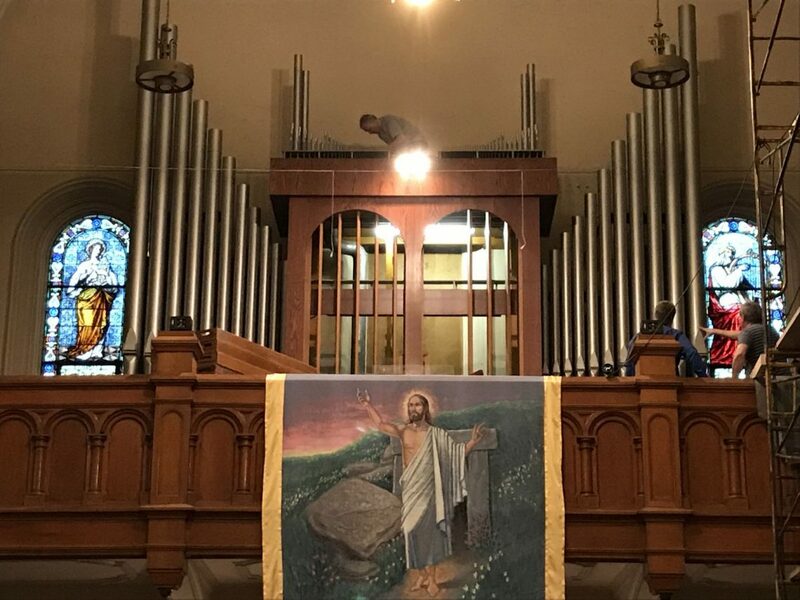 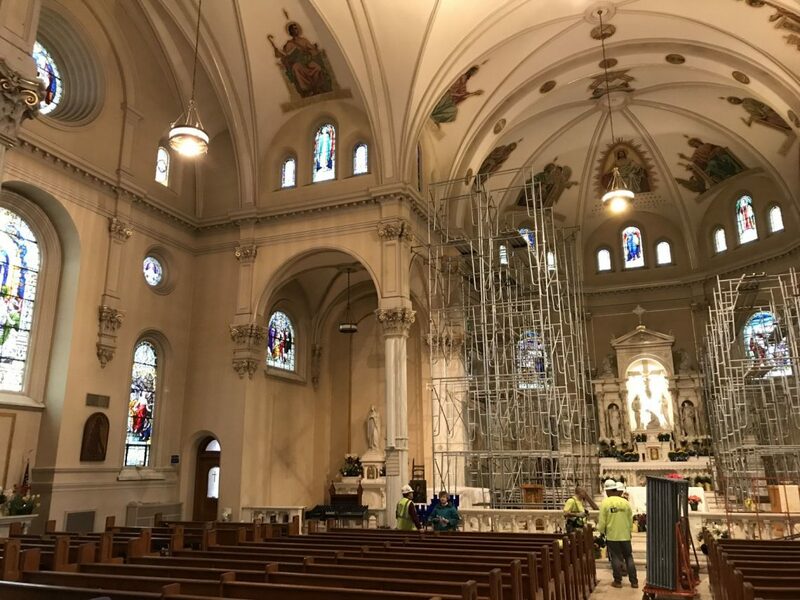 This week, the multi-month renovation to St. Peter’s Church began. 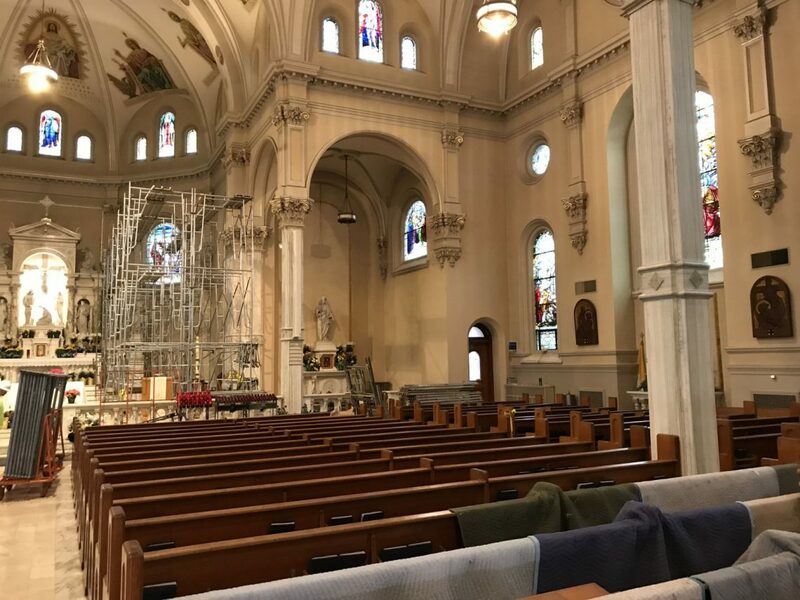 The work covers $1.5 million of the $3 million Preserving Our Past, Securing Our Future Capital Campaign. 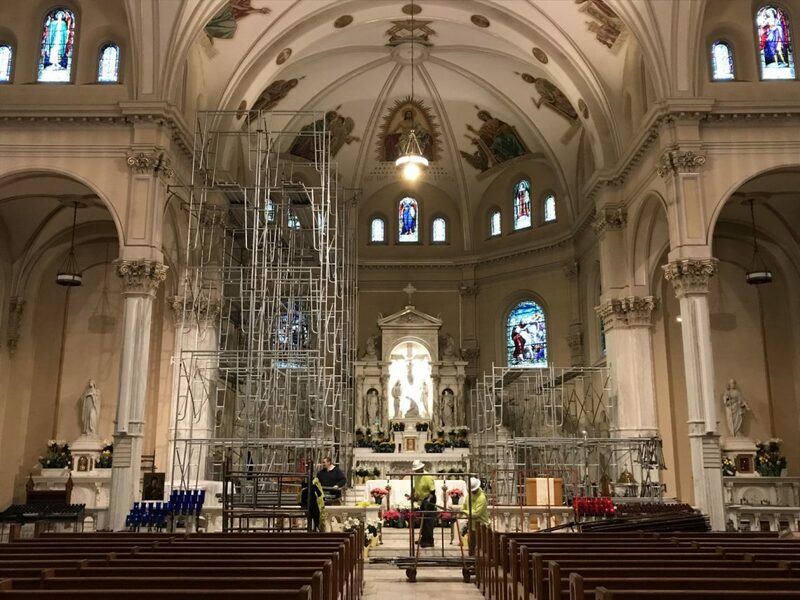 Crews began building the scaffolding that will cover the main sanctuary until Mid-June. 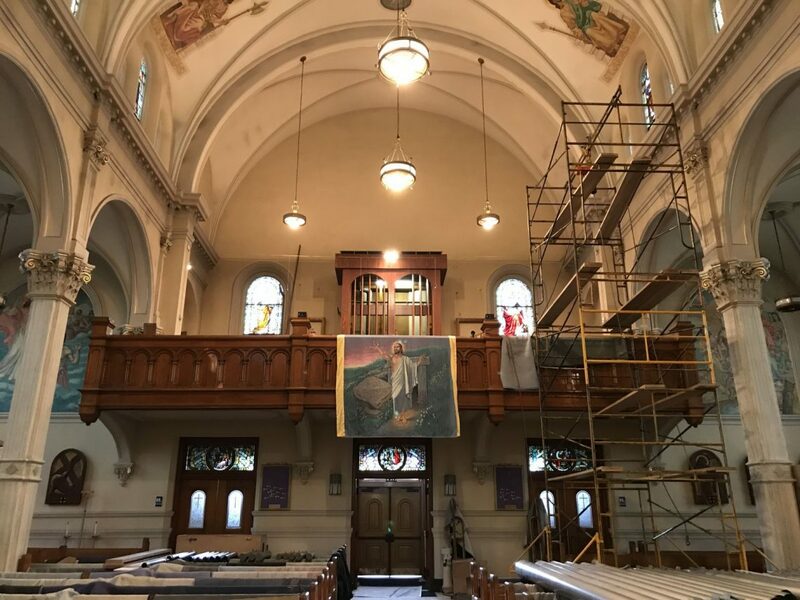 A “dance floor” will be erected about 35 feet above the floor so painting crews can work. 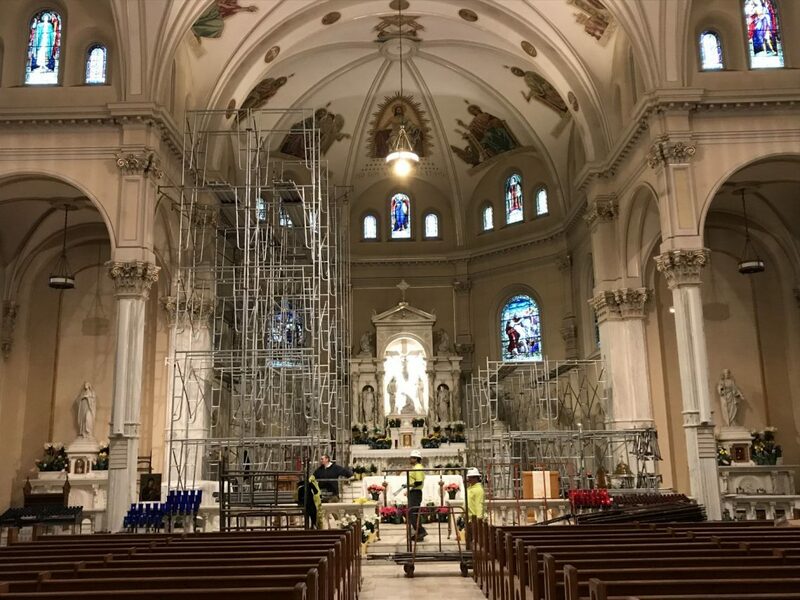 On the other side of the nave, crews from Orrville, Ohio based Schantz Organ Company started to dismantle the pipes from the organ.